A garden enhances the kerb appeal of a property. It also gives a relaxing feel that helps in de-stressing. If you have a garden at home, installing a railing is one thing that you may want to consider. 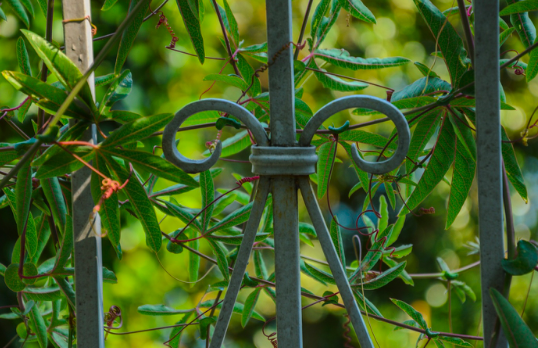 Garden railings have various benefits and here are some of them. While a garden already beautifies a property, a well-designed and adequately installed railing enhances its appearance further. There are different styles of railings available. They can also be customised to your liking. If there is a specific look that you have in mind, you can have it built to your specifications. You can go for a classic and simple feel or have a more intricate design that is unique and grand. The market price of the property increases with a garden railing installed. If you are planning to sell your property, this is an excellent addition if you want to make it more appealing to buyers and if you wish to increase its value. With the railing installed, its price will be higher compared to if it is sold without one. Your plants need protection from stray animals that may attack them. Passers-by may also pick them or destroy them if they are easily accessible from the outside. Garden railings will serve as security to protect your garden and keep it safe from damage caused by outside elements. The railing will also serve as a boundary that will immediately tell people that the area belongs to you. It will prevent them from getting into your place without permission, thus also maintaining your privacy. This will also avoid other people from claiming part of what you own as it will clearly show what is yours. These are just some of the benefits of having a garden railing installed. If you decide to get one for your property, there are various materials to choose from, and they have their advantages and disadvantages. One of the options for railing material is wood. It’s a cheap alternative that is sturdy and environment-friendly. It gives a natural and classic feel, and it can also be designed and painted to your preference. However, wood is dense, and it requires a lot of maintenance. It’s susceptible to fire, rotting, and warping. Another material for gate railings is vinyl. It comes in different styles, and it is also easy to maintain. Vinyl gates are also sturdy and weather resistant. The problem with this material is that although it imitates the look of wood, it still doesn’t appear 100% like it. It also costs more than wood, and it is non-recyclable, which is not good for the environment. Steel is another popular choice when it comes to garden railing material. This is the sturdiest option, so given the proper care,it can last for several years. The drawback is that it is costly and heavy. It also needs regular maintenance.